A Must Read - 7 Things You Must Give Your Spouse Daily! Home Love Love and Marriage Love and Relationships Marriage A Must Read - 7 Things You Must Give Your Spouse Daily! When it comes to giving,many married people are generous to everybody except their spouses​. There are seven things you should give your spouse daily. This are not weekly , monthly or annual giving. They are things you must give your spouse daily. Let's see them:. 1. 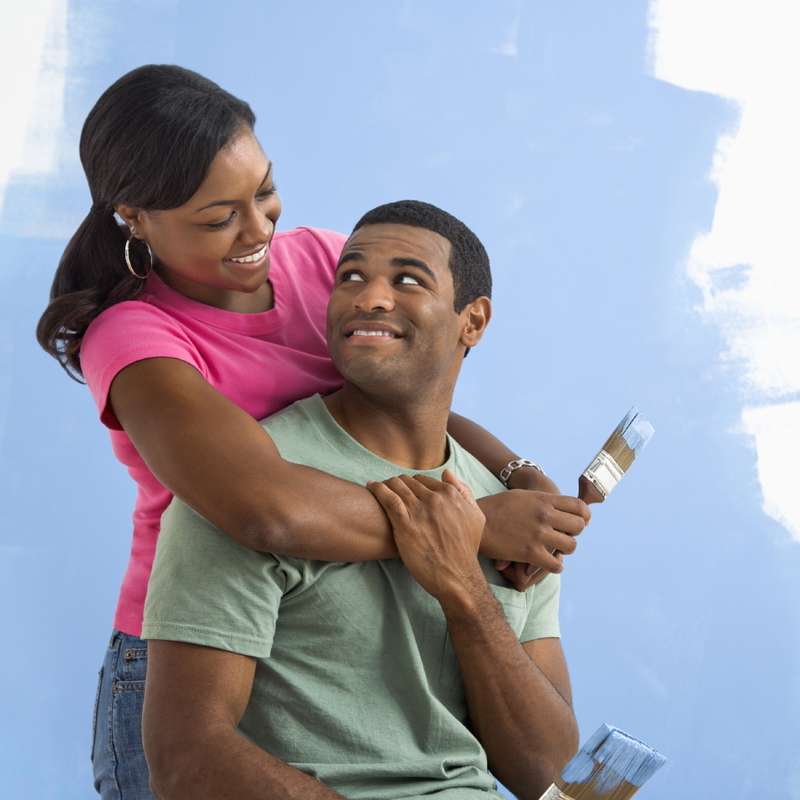 Give Your Spouse A Touch: One of the ways to bond with your spouse is to give him or her a touch. We have encouragement touch, affirmation touch, healing touch, apology touch, and we have sexual touch. Study your partners and know what touch to give at a particular time. If you want God to touch your marriage, touch your spouse. Don't let today go like that without touching your partner. 2. Give Your Spouse Space: As much as you need to bond with your spouse and be together for daily intimacy, communication, affection, planning, etc ,yet, you still need to give your spouse his /her space. There is time for couples prayers, time for couples bonding. Also there is time for personal prayer, personal meditation, personal rest, personal planing, etc. Don't choke your spouse. Don't be over- possessive and over demanding to your spouse. Stop unnecessary policing and monitoring. Give your spouse a space they need when they need it. 3: Give Your Spouse A Call or Chat: Some people can chat with all the contacts on their phones & all the friends on their friends list on Facebook. But they will never chat or call their spouse throughout​ the day. Chatting or calling your spouse in a day at work is a way of saying, 'Dear, despite my busy schedule, I have you in mind. I am thinking about you'. Make sure you send a chat, or give a call to your spouse today. Make it a daily thing. No body can be tired of receiving a caring chat or a call from someone they love. 4: Give Your Spouse A Hug: Hugging is fast disappearing in many marriages today. It has been researched that, hugging is one of the emotional needs of every human being. It is scarcity of spousal hug that makes many men to hug ladies who are not their wives indiscriminately. Many women too crave for hugs and they allow every Tom and Jerry to hug them because their husbands are not giving them hug. It might be in the morning, or at night, let no day pass without hugging your spouse. It is one valuable thing you must give your spouse. It could be a welcoming hug, a goodbye hug, an appreciating hug, affirmative hug. Hugging is a non verbal means of communication. Use it well. Don't let your husband or wife crave for hug from strangers when you are still alive. Hug passionately! Hug romantically. 5. Give Your Spouse A Smile: God smiles on a home when couples smile at each other. A smile is a way of telling your spouse, 'You delight me', 'Your presence amuses me', 'I am pleased with you'. Frowning at your spouse is not a thing that should last a whole day. One of the way to know your marriage is SMELLING is when you are not SMILING with each other. Smile. It is one of the best gifts you can give your spouse in a day. I love to smile alot and I love to see my Queen smile. I don't like people who are not generous with their smile. It is free. You don't need to pay to smile. Just relax your muscles and smile. Couples, smile , keep smiling! To prevent your marriage from smelling, keep smiling with your spouse. 6: Give Your Spouse Peace Of Mind: The home is the end-point of every thing we do daily. Let me explain it this way. If you are a doctor, you can't sleep in the hospital all the days of your life. You will need to come home. If you are an engineer, you can't sleep in the site all days. If you are a lawyer, you can't sleep in the bar all days. Even as a pastor, you can't be in the Church 24/7. We all must go back home. Home is the end point. So, if your spouse will be excited to come home, it must be a peaceful home. Stop nagging, fighting, insulting, abusing , threatening, and humiliating your spouse. Give him rest of mind. Give your wife rest of mind. Be the head of your wife sir, not the headache of your wife. Madam, be a wife , and not a 'knife' to your husband. Blessed are the couples that give each other peace of mind daily! 7: Give Your Spouse A Prayer: No matter how wealthy or highly connected you are, there are things you can not do for your spouse. You are limited. One of the ways to show love to your spouse is to commit him/her to the unlimited God. Say a word of prayer to your spouse daily. Every other things may fail and may not work. But no force can withstand the power of prayer. You can't heal your spouse, only God can heal him/her. You can't lengthen the days of your spouse. Only God can do that. You can't save your spouse. You can't take away addiction and evil habits from your spouse , only God can do that for him/her. Pray to God. Mention the name of your husband/wife to God. As a man, you are the priest of your family, lay your hands on your wife, or hold her hands and say a word of prayer to her life. It is a major gift many couples find so difficult to give each other. Blessed is that wife whose husband gives a gift of prayer daily. (Vis-a-vis). Pray for your spouse if you don't want him/her to become a prey in the hand of the devil. All this seven things you must give your spouse daily are very easy, simple, free and important. Put them on your 'to-do-list'. Don't forget to give it. Remember, givers never lack. If you give your spouse all these, I can assure you that, there is a high assurance that you will get it back. I love your marriage. The joy of your family is my priority.